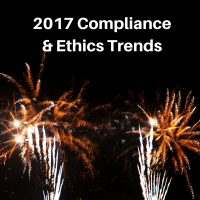 What are going to be the overarching trends in compliance and ethics in 2017? In this episode, Eric talks about compliance and ethics program trends that will affect every company, no matter your size and no matter whether you are in a highly regulated space. First, in the past year there has been lots of discussion deregulation. Will potential deregulation lessen the importance of compliance? How can you make the case for continued focus on compliance? How can you keep up the conversation within you organization? As part of his discussion, Eric references the data in the SCCE and NYSE Compliance and Ethics Program Environment Report. no matter what happens with regard to deregulation, all organizations face reputation risks. As we’ve all seen, social media amplifies these risks and information can go viral quickly. Eric makes the case that organizations need to consider potential reputation risks and ways to mitigate these risks. Last, Eric predicts that defining what a risk-based approach to compliance will be a big trend in 2017. The idea of risk-based approach to compliance comes out of FCPA guidance. What does it mean to take this approach? Your organization should think about the empirical reasons for your approach to compliance and ethics. How can you use that data that you collect internally to determine where your risk areas are? 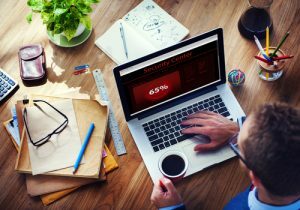 How can you make the business case for investing in compliance? Click Here to Subscribe to Our Mailing Listreach out below.